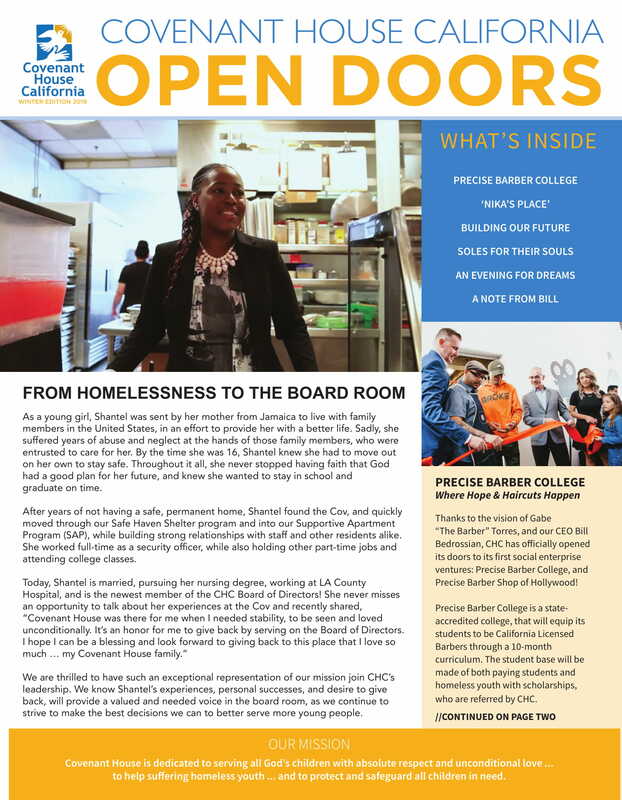 Read more about what’s been happening around Covenant House California! Winter 2018 – The Transformative Power of Pay It Forward! Summer 2017 – Fighting For A Dream To Help Others! Winter 2017 – Dramatic Change Is Possible!